The comprehensive cough remedy with advance performance relaxes chest muscles, eases breathing and induces a sense of well being. It is 100% herbal and safe. 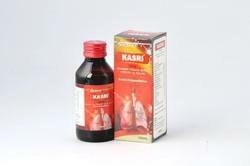 Kasri syrup is made from well-known curable herbs like tulsi, mulethi, trikatu, honey, kantkari, vasaka, kakarsringi and others. It is beneficial in both productive and dry cough. Dosage: one teaspoon three times a day or as directed by the physician. We offer gripe water pep-kid. Pep-kid gripe water is an effective homely remedy for infants and children with digestive disorders, teething problems and a prophylactic against these common maladies. 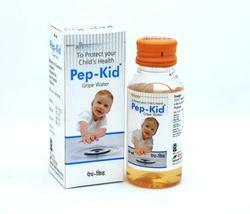 Pep-kid gripe water is a natural dietary supplement. It eases the discomfort of babies with gas, stomach upsets, hiccups and teething & colic. Gripe water will usually give relief within 5-20 minutes! Pregnant women can use pep-kid for morning sickness, stomach upsets, gas, and hiccups. Adults and children can use it as well. Dosage: pep-kid is given either just prior to feeding or afterwards, if your baby appears to be distressed by hiccups, colic, stomach cramps, gas or teething. May be taken directly or mixed in water or juice, up to 6 times in 24 hours. For babies under 1 month of age - use 1/2 teaspoon (2. 5 ml) up to 4 times in 24 hours. For infants 1 to 6 months of age - use 1 teaspoon (5 ml) up to 6 times in 24 hours. 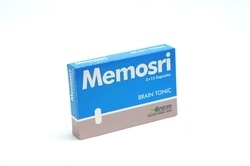 When memory needs rejuvination, Memosri capsule, an exclusive product , containing all natural multi ingredients,which enhances learning capability & improves concentration. It is a natural memory booster capsules for mental development and enhances learning capability.It is natural remedy that is completely safe for everyone. It is a pure herbal product which improves concentration. Dosage One capsule twice a day or as directed by the physician.